Video: PBS News Hour: William Powers. N/A: Title was not provided for this media item. Video: William Powers - “Hamlet’s BlackBerry” - Keynote at EKU . Article: NPR: 'Hamlet's BlackBerry': To Surf Or Not To Surf? William Powers is an award-winning media critic, author, research scientist and international commentator on how to live and work well in the digital age. He is currently at the Laboratory for Social Machines at the MIT Media Lab, developing new technologies to solve real-world problems. He is the author of the New York Times bestseller, Hamlet’s BlackBerry (Harper Perennial). 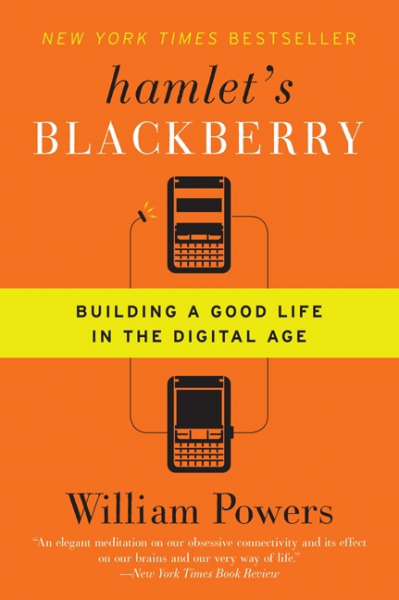 Hamlet’s BlackBerry challenges the widely held assumption that the more we connect through technology, the better. It’s time to strike a new balance, William Powers argues, and discover why it's also important to disconnect. Part memoir, part intellectual journey, the book draws on the technological past and great thinkers such as Shakespeare and Thoreau. “Connectedness” has been considered from an organizational and economic standpoint, but Powers examines it on a deep interpersonal, psychological, and emotional level. Widely praised for its insights on the digital future, the book challenges the widely held assumption that the more we connect through technology, the better. Instead, he demonstrates how a more balanced, targeted approach to these technologies yields greater focus, productivity and innovation. The book has been published around the world in many languages including Chinese, Japanese, Korean, Russian and German. 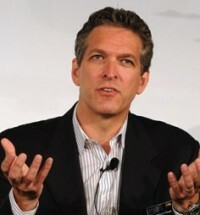 A former Washington Post staff writer, Powers is a two-time winner of the National Press Club’s Rowse Award for best American media commentary. He has been featured in dozens of major news outlets, including NPR, Good Morning America, the PBS NewsHour, CNBC and the BBC, and coverage in The New Yorker, The New York Times, The Wall Street Journal, USA Today, Wired and The Guardian. Prior to joining the Media Lab, he consulted for Bluefin Labs, an MIT start-up where he created and led a year-long project analyzing the role of social media in the 2012 U. S. presidential race. After the election, the company was acquired by Twitter and Powers joined the MIT Media Lab. In recent years, he has spoken at South By Southwest, the Aspen Festival of Ideas, Google and many other conferences and organizations in the U.S. and abroad. Currently Powers resides on Cape Cod. "[An] elegant meditation on our obsessive connectivity and its effect on our brains and our very way of life." "Powers mounts a passionate but reasoned argument for ‘a happy balance’. . . . [He] is a lively, personable writer who seeks applicable lessons from great thinkers of the past. . . . Lucid, engaging prose and [a] thoughtful take on the joys of disconnectivity." "A brilliant and thoughtful handbook for the Internet age—why we have this screen addiction, its many perils, and some surprising remedies that can make your life better." "In this delightfully accessible book, Powers asks the questions we all need to ask in this digitally driven time. And teaches us to answer them for ourselves." "Benjamin Franklin would love this book. He knew the power of being connected, but also how this must be balanced by moments of reflection. William Powers offers a practical guide to Socrates’ path to the good life in which our outward and inward selves are at one." "Always connected. Anytime. Anyplace. We know it’s a blessing, but we’re starting to notice that it’s also a curse. In Hamlet’s Blackberry, William Powers helps us understand what being ‘connected’ disconnects us from, and offers wise advice about what we can do about it…. A thoughtful, elegant, and moving book."